Anime Theme - Wallpapers, games and downloads for all your Anime and Final Fantasy needs! Welcome, Anime and Final Fantasy fans! Here you will find all kinds of wallpapers, desktop gadgets and downloads featuring your favorite Anime series, Vocaloid characters and video games. 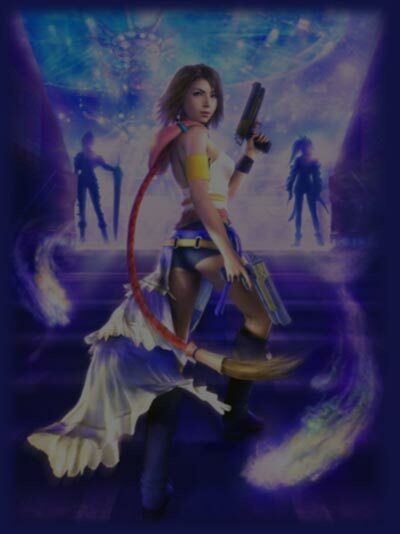 Come download some awesome CG movies from Final Fantasy VII to XII as well as other games! Come play some innovative Anime-based games created using the most advanced Web effects and browser features! Own a PlayStation Portable? Come get some FREE games, themes, wallpapers and stuff for your PSP! Be prepared to enter the wonderful world of Anime and Final Fantasy! Are you ready? 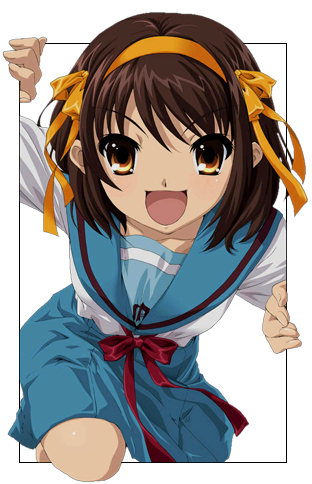 Haruhi: Hey, you~! Come explore Anime Theme just like using your desktop and experience all kinds of interactive features! Feel the amazing power of Dynamic HTML! This entrance is for Internet Explorer, Firefox, Google Chrome and other modern browsers. CLICK ME NOW~! Anime Theme and related designs are copyright © 1997-2015 Butz Yung. All rights reserved.